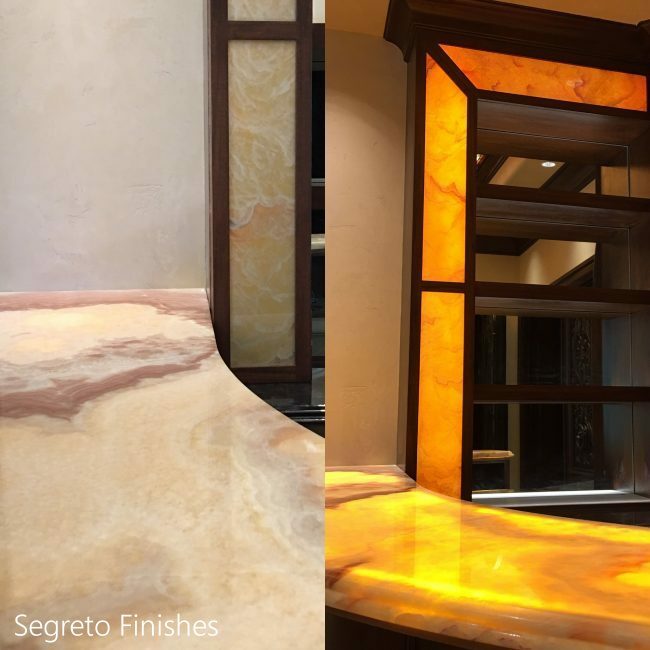 A Great Store, The Best Banana Pudding, And A Few Finishes! Hi Friends! I hope you all have had a wonderful week! 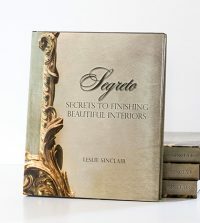 Before we talk Segreto’s finishes I wanted to share the fun Mother’s Day weekend I had in Georgia, announce the winner of Kristy Harvey’s book trilogy and give you the recipe for the best banana pudding I have ever had! I was so excited to go back to my home state which I had not returned to since I was sixteen. So when Lisa owner of The Front Porch of Vinings asked me to do a book signing, I was super excited. 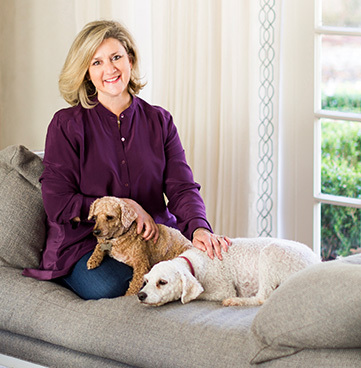 I had first met Lisa and her awesome staff in Round Top and instantly liked them all! 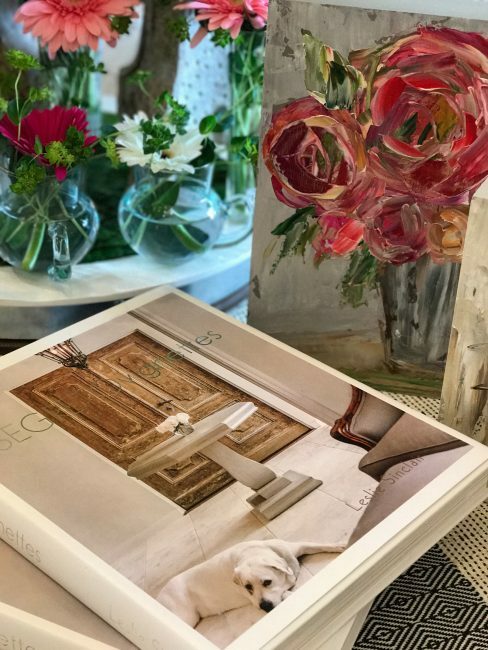 The store is a welcoming with such a wonderful mix of art, home accessories, jewelry, clothing and gifts! 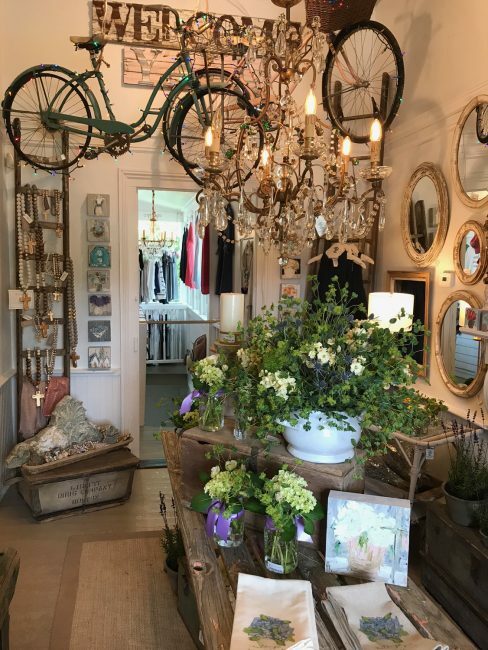 Southern charm as you walk in the door, look how well merchandised the store is! 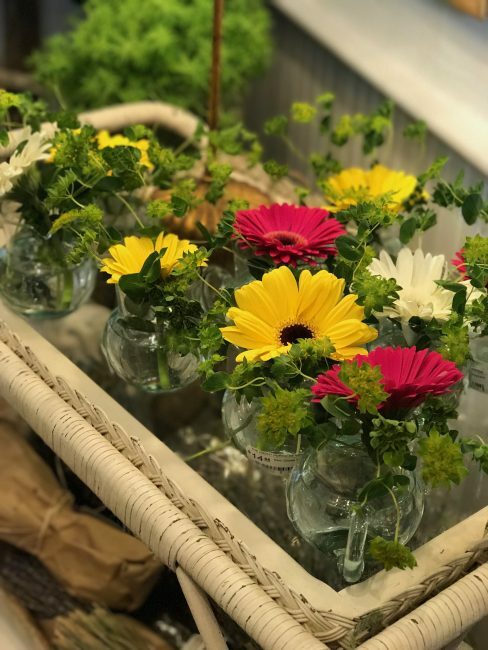 They filled vases full of beautiful flowers to pick up for Mother’s Day gifts. These look so pretty on tables and super simple!! !–remember this for your next tablescape. 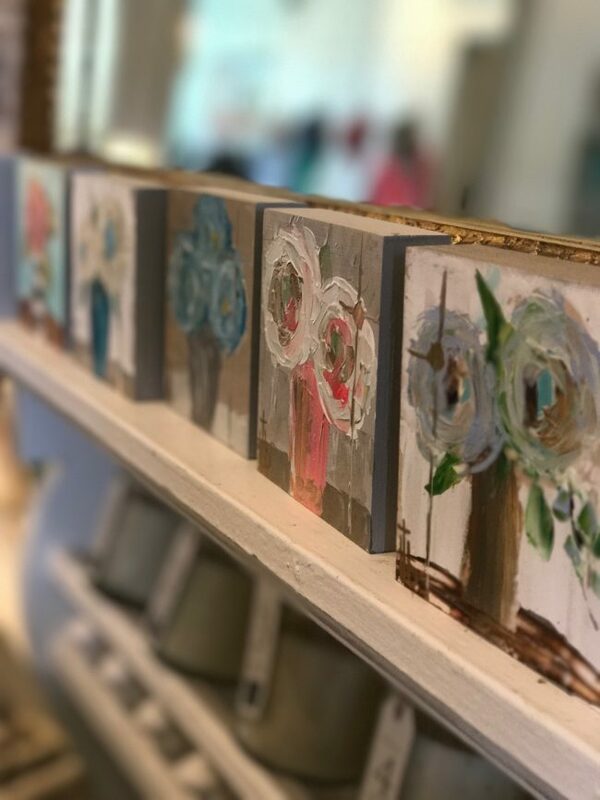 I was set up in one of the side rooms with a beautifully decorated table filled with vases of flowers and the wonderful art they carry by Laurel Browning. I fell in love with it and so did my daughter Sammy who went away with two small pieces!! Here is a bigger piece which sold when I was there. They all just made me smile!! Whimsical with a great use of color! They had all sizes and these little ones were about $35 each! Wow what perfect gifts they would make. Maybe they will ship?! During the event I had family trickling in to say hi from Georgia, North Carolina and South Carolina! Daughter’s Kirby and Sammy had not ever met these cousins!! Here is the younger group ages 15-28! They had so much fun it was if they had grown up together! For those who don’t know, my two are on the right! Sammy is a kindergarten teacher an Kirby works with me. 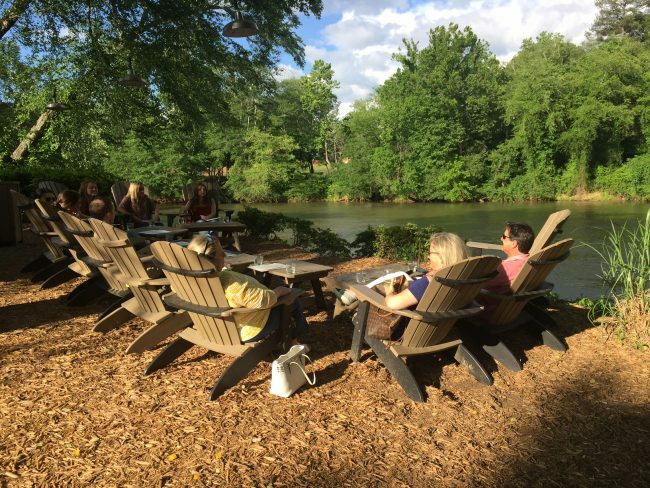 After the big event we all went to Canoe, a restaurant located along the banks of the Chattahoochee River, ranked in the top 5 for Atlanta eateries. Well of course there were no tables available in the restaurant for dinner so we walked down to the river to have a drink at their bar. Hearing how far everyone had traveled, those sweet southerners at Canoe set up a place just for us on the river banks. This was perfect-so much better than having a table inside which was so much more formal! They serve all kind of exotics like kangaroo, fish, rabbit, spring chicken and more. It’s hard to get the Texas out of me and I just had to try the Duck N’ Beef Burger with Truffle Pommes Frites. It was delish and with a family that grew up in the restaurant business we all tasted each others dishes. The evening was magical! Thanks Canoe, Front Porch and all of my family who made it a memorable Mother’s Day Weekend for me!!! Earlier in the week Lynn Terry the editor of Southern Home magazine came for a visit. She was down photographing, two of our homes for her magazine. From Alabama, she was so much fun and super down to earth–which was awesome! As a thank you gift she made me the best banana pudding I have ever had! One of my favorite deserts to date so……… I just had to share it with you all! The secret ingredient? Biscoff spread which is cookie butter! No wonder it was so good!! I really wanted to include pictures of the dish but honestly my family devoured it before I had the chance! 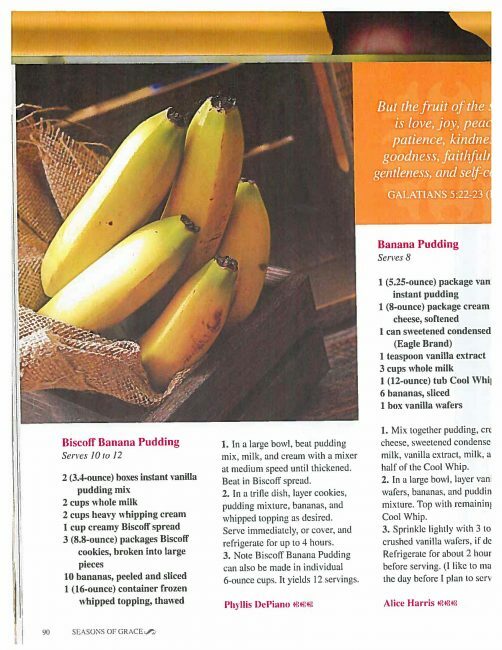 A tip from Lynn is that she doesn’t use quite as many bananas and creates lots of layers! Try it and let me know the response. 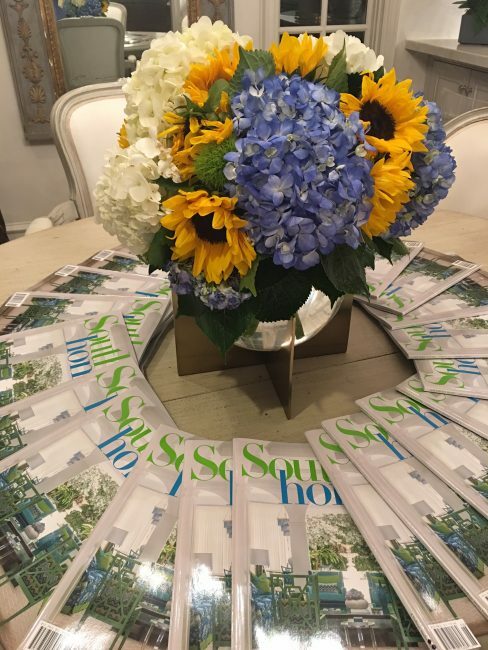 If you don’t receive Southern Home you should definitely check it out. 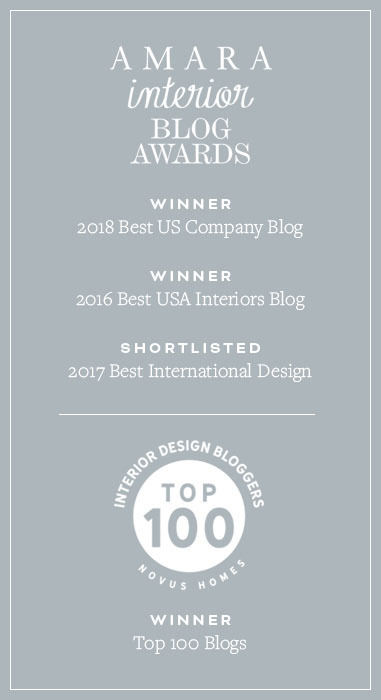 If you go to the site they offer a free newsletter as well with wonderful design tips!. It reminds me of the old Southern Accents magazine I loved so much but even better! 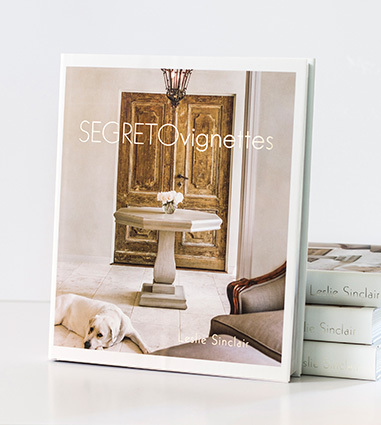 See if you can guess here what Segreto did? Of course we plastered the walls but there is something else! 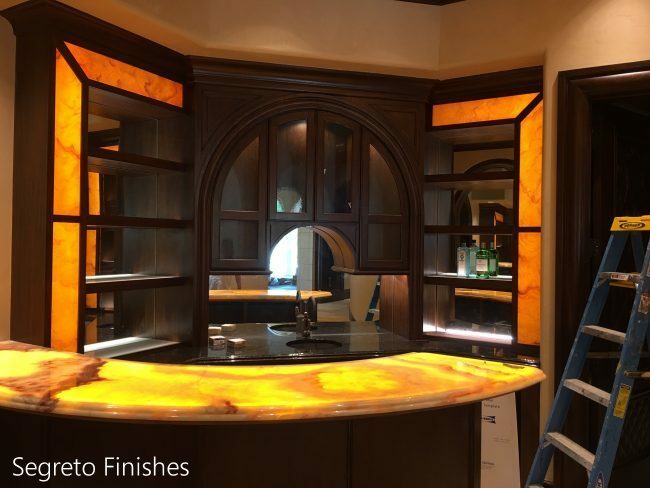 This homeowner wanted the surrounds of his bar to appear to be solid onyx matching the countertops in front. Due to the weight of the stone, it became infeasible. 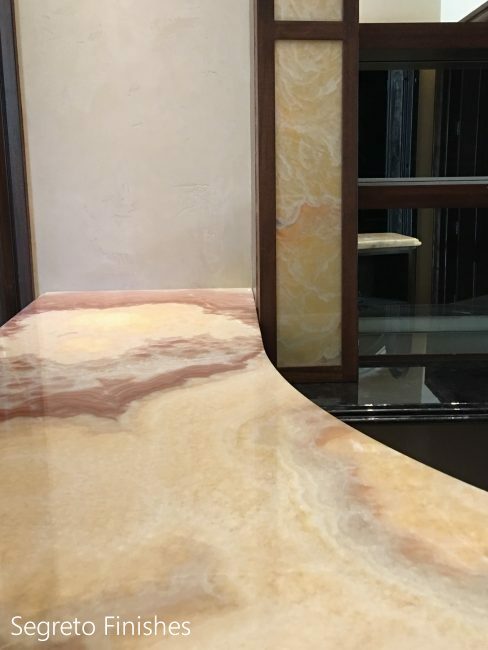 Soooo we were challenged to reverse paint the glass insets bordering the bar to look like the onyx when the bar was both lit and when the lights were off. I was even a bit nervous to pull this off. We had to take a sample of the counter–and rig it with led lights. We painted the glass on a light box so we could emulate the colors with lights on and off. I think Segreto muralist Allan did an amazing job! I am super blessed to have such talent on my team! It is so fun to start photographing projects again! 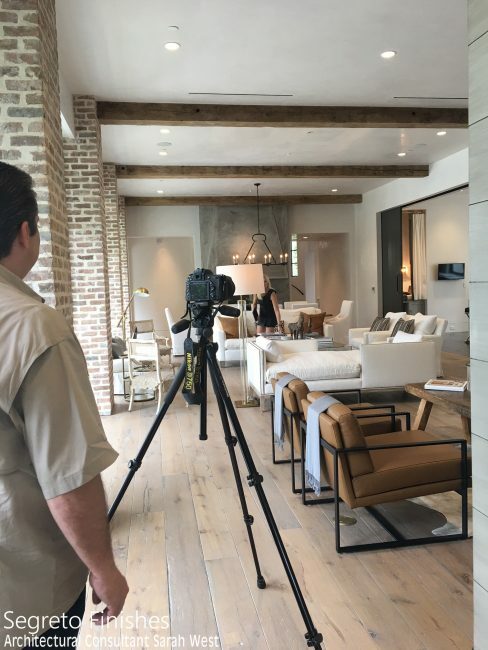 Here is my photographer Wade and amazingly talented architectural consultant Sarah West fluffing the house to absolute perfection!!! Working with her was super fun on this one!!! Can you recognize our plaster on the ceilings and walls! The subtle sheen really marries this homes balance of reclaimed elements, modern furnishings and clean lines. Sarah is such a talent! 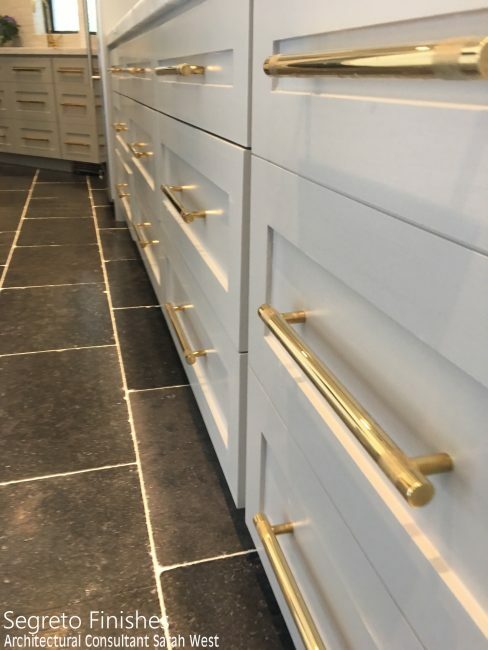 Look at this beautiful hardware in the kitchen! LOVE! In this same home in the boys shower we plastered in an industrial fashion! With no grout lines this plaster holds up over time only needing to be soaped 4 times a year to clean and reseal! I have loved it in my master bath!! I hope this young man does too!!! More to come with this project!!! 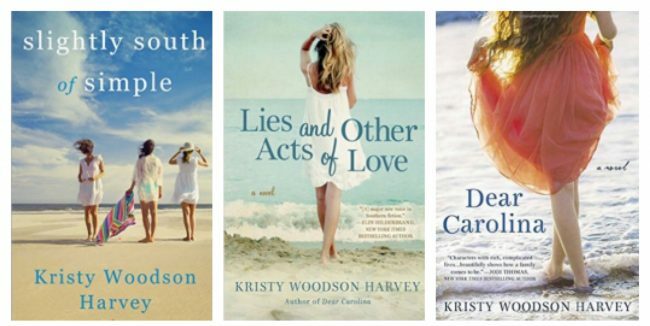 I wish I could give each of you the book trilogy! The Mother’s Day winner is Debbie Walker! Debbie send us your address. Thank you for all that commented! Hope everyone has a fantastic week! Till next time!! 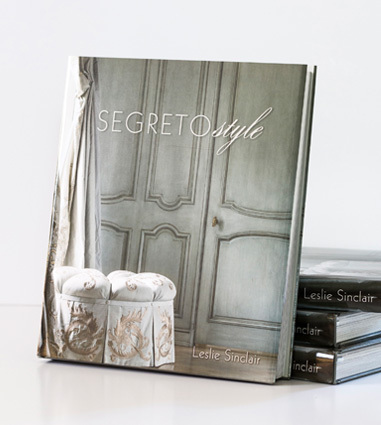 << A Tour of a Segreto Home! Thank you so much Leslie! 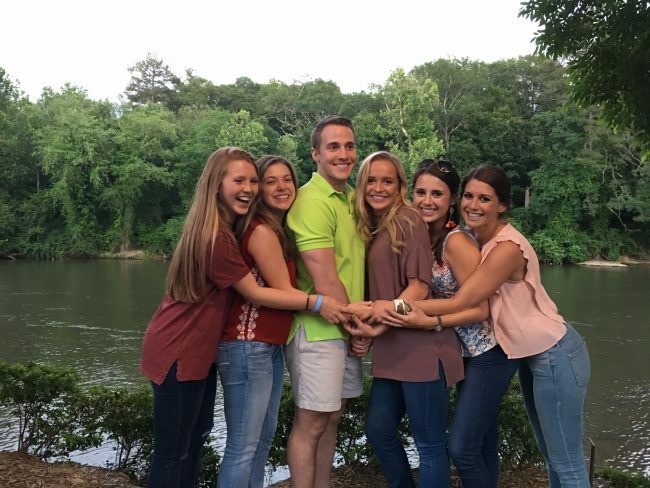 We loved hosting you and meeting your lovely family. Come back anytime! I loved being there!! You all were so welcoming and we loved all the wonderful shopping your store has to offer. Wearing my new shirt today! Leslie, I love everything you talked about! Those young kids are so adorable. Everyone of them are so cute! Hi Cathy! They were so cute and had so much fun together!!! Have a great week! 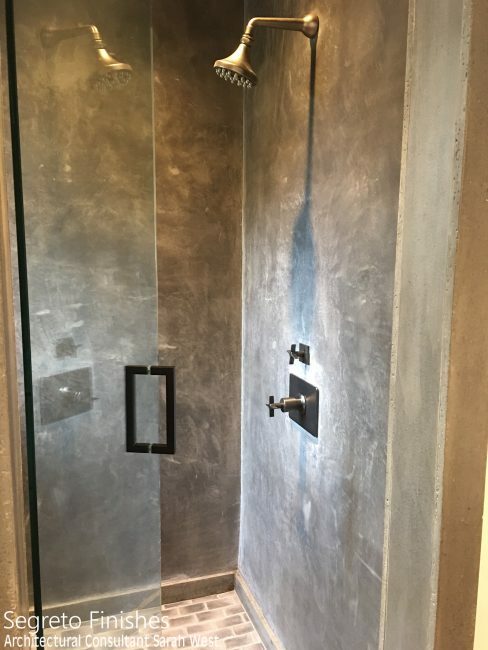 What kind of plaster is used in the shower? Is it sealed when finished? What kind of soap? Love all your creativeness! Hi Marybeth! We use a Tadelakt plaster and seal if with an olive soap. Hope this helps–thank you so much for following along–I so appreciate it!! I’m waiting for your Texas road trip!! !